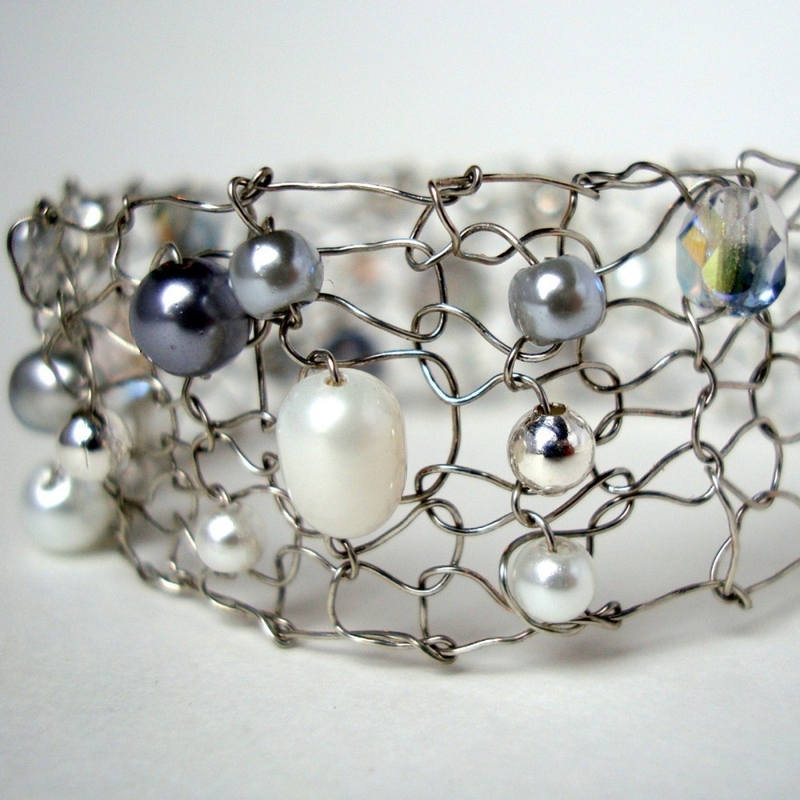 Little White Pearl Cuff Bracelet Silver Wire Arm Cuff White & Grey Pearl Crystal Thin Cuff Wire Knit Cuff Bracelet Unique open wire knit cuff in silver, white, gray pearls and crystals by lapisbeach. 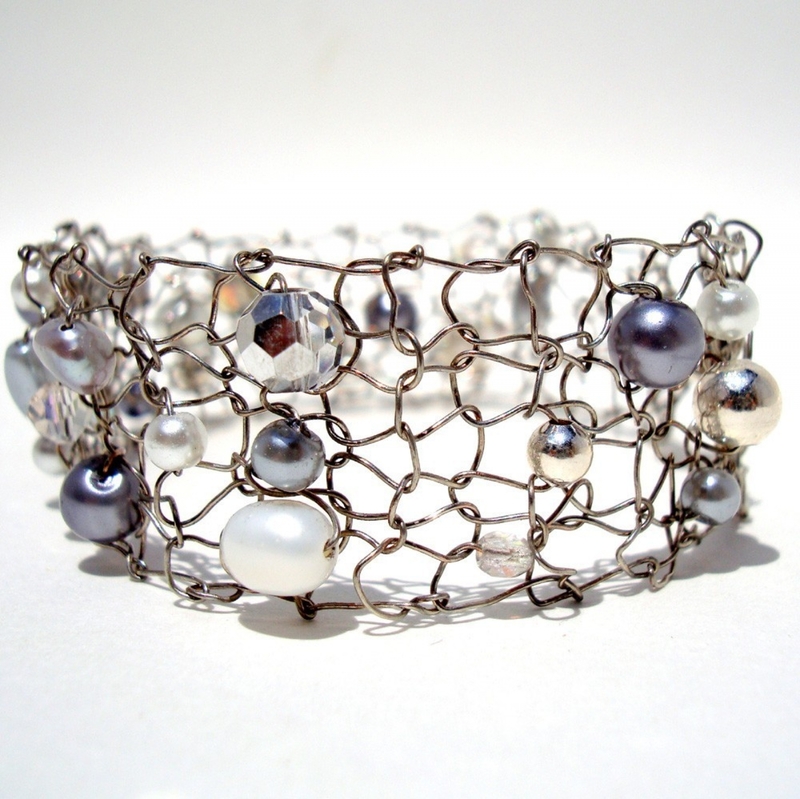 A Gorgeous, unique modern line of hand knit wire jewelry. 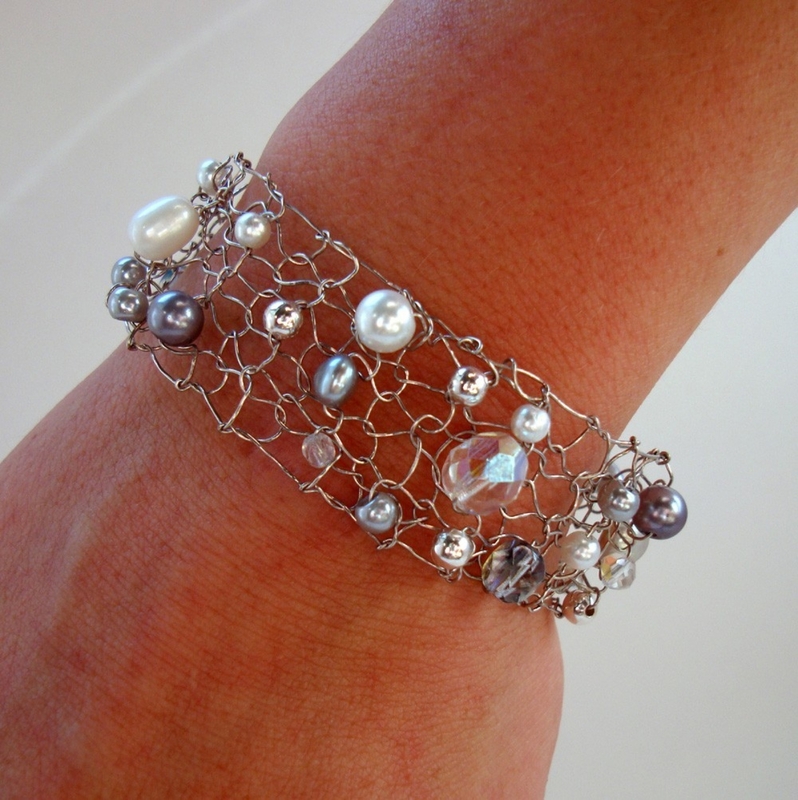 This stunning yet open and artistic looking bracelet is utilizes silver plated titanium wire and I hand string all types of beads and pearls. 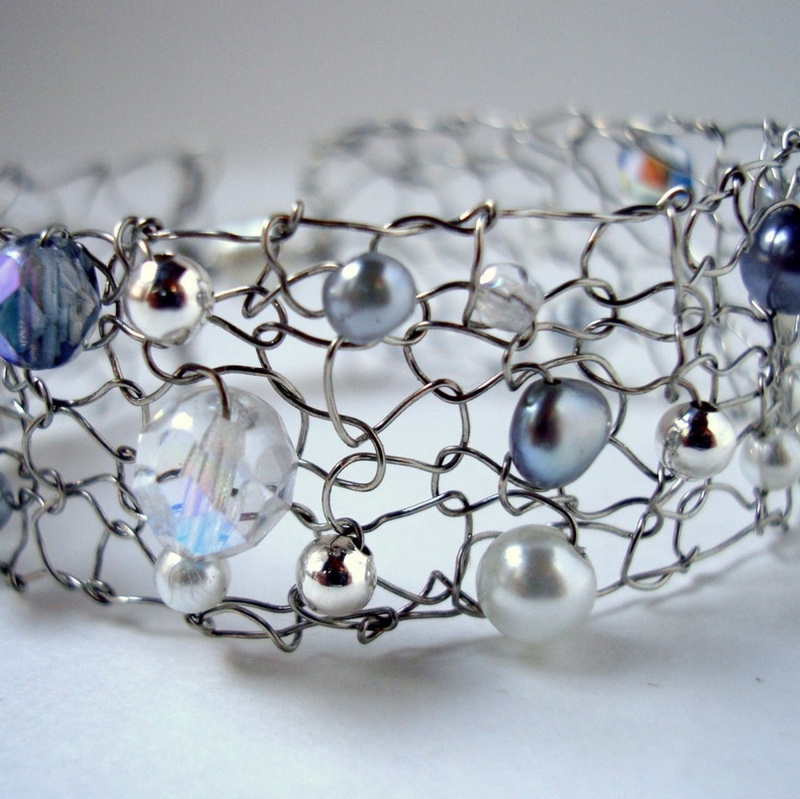 I then hand knit the piece, while all the elements dance through the wire. This white diamond mix contains freshwater and glass white & gray & silver colored pearls along with czech firepolished crystals in an ab firepolished finish. 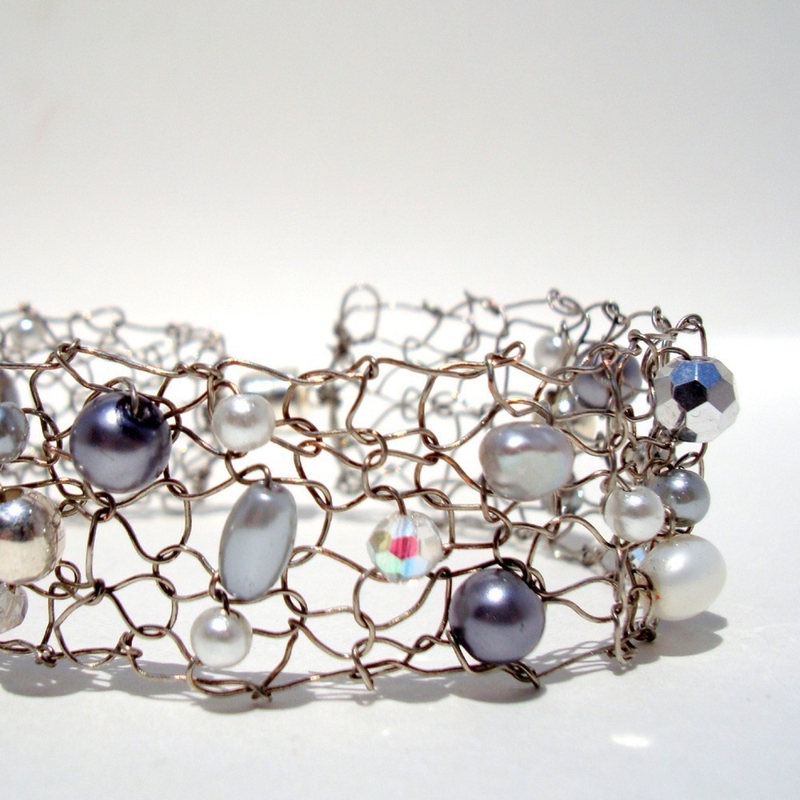 Each piece I make, knits up differently every single time so they truly are one of a kind! This bracelet measures 1 " in width. It is finished off with a strong magnet for your convenience. Please try to slide the magnet apart instead of pull it-as you could accidentally pull a magnet out of the casing. Even though they are knit with wire- they are surprisingly comfortable and light weight. I believe you will love it even more in person.